General purpose jewelers glue for sealing thread ends, securing crimp ends, glue bails and basic repairs. Works well on metal but not recommended for glass. 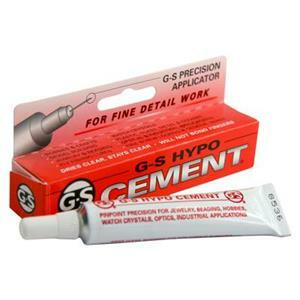 Hypo Cement is a must have for any Beader/Jeweler. Needle nose tip makes for easy application.